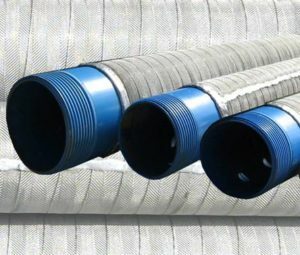 Omicron screens are manufactured by wrapping a stainless steel net around a slotted PVC pipe. Round shaped slots are made by a special plant. 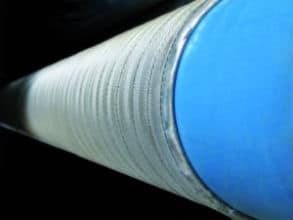 The soldered steel net is not directly wrapped on the pipe, but between net and pipe there is a 2 mm space that allows the net to collect water through its entire surface, not only in the areas above the slots. 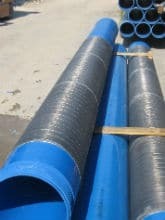 This particular construction allows a high performance of the filter. The use of stainless steel, however, requires a higher cost compared to slotted PVC screens. Depending on customers needs these products can be manufactured with different types of net which afford openings from 0,1 to 0,4 mm, moreover, the screens can be wrapped for all their length or only part of it.